New York: Pocket Books, 1972. Copyright 1970. 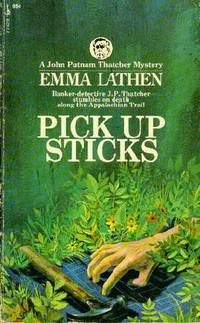 John Putnam Thatcher, banker-detective, stumbles on death along the Appalachian Trail. C.P. Snow called Lathen probably the best living American writer of detective stories. 185 pages. Slight edgewear. Creases on spine.. Mass Market Paperback. Very Good. New York: Pocket Books, 1982. Copyright 1981. 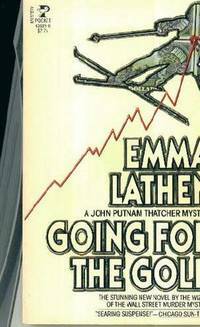 Lake Placid becomes anything but for John Putnam Thatcher, banker-detective. C.P. Snow called Lathen probably the best living American writer of detective stories. 255 pages.. Mass Market Paperback. Fine. New York: Pocket Books, 1974. Copyright 1966. 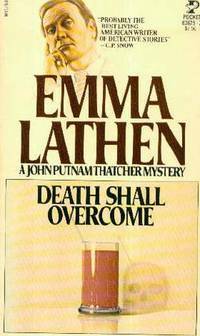 Murder, attempted murder and civil rights demonstrations bring security on Wall Street to a record low until John Putnam Thatcher, banker-detective, brings the matter to a close. C.P. Snow called Lathen probably the best living American writer of detective stories. 206 pages.. Mass Market Paperback. Fine.